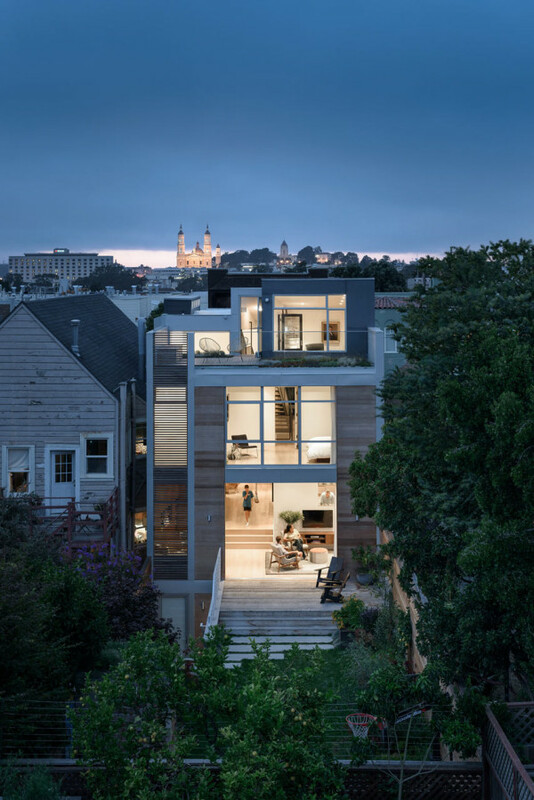 Feldman Architecture handled the “unconventional” renovation of this Cole Valley home in San Francisco, California. 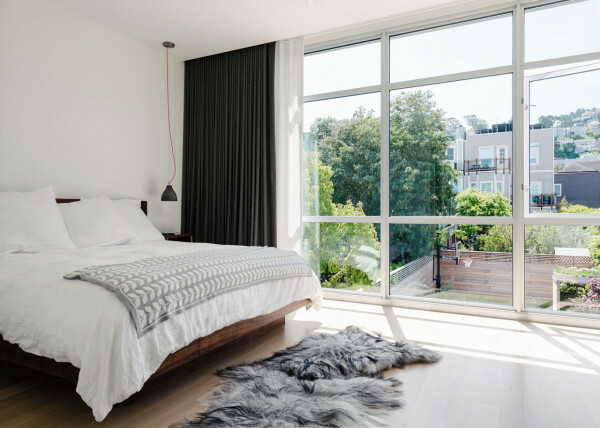 Named Fitty Wun, the 4,188 square foot house now coincides with the family that lives there, which includes a couple and their three young boys, and their “work hard, play hard” lifestyle. 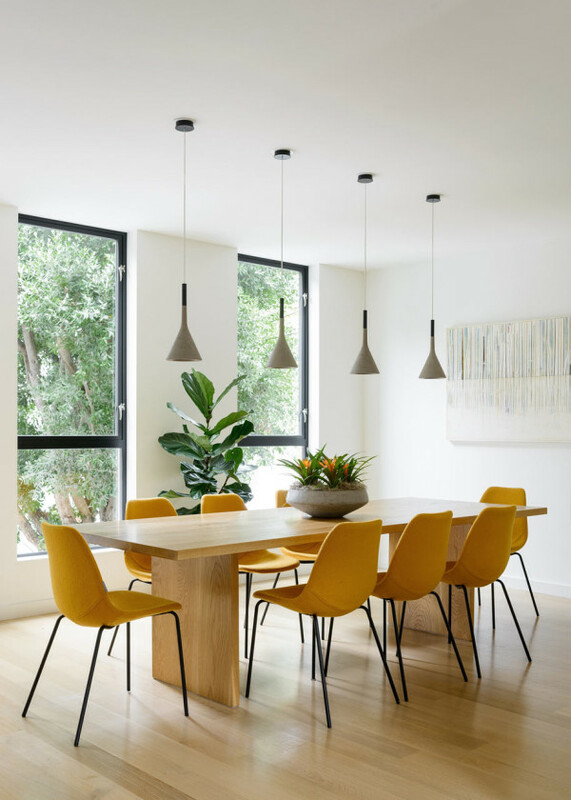 The townhouse façade disguises a large, family home with an open floor plan, that now combines the kitchen, dining, and living rooms into one large space. 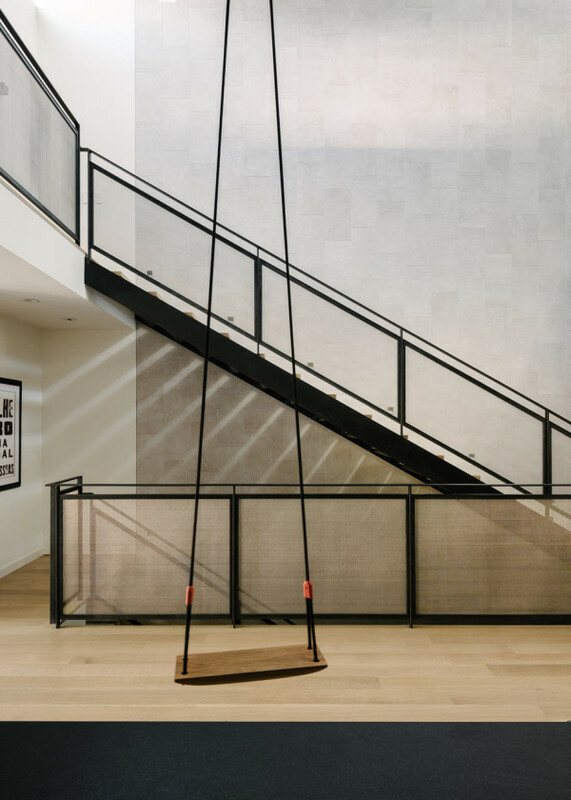 What better way to cope with having three active kids than to incorporate a swing right in the middle of the main great room? 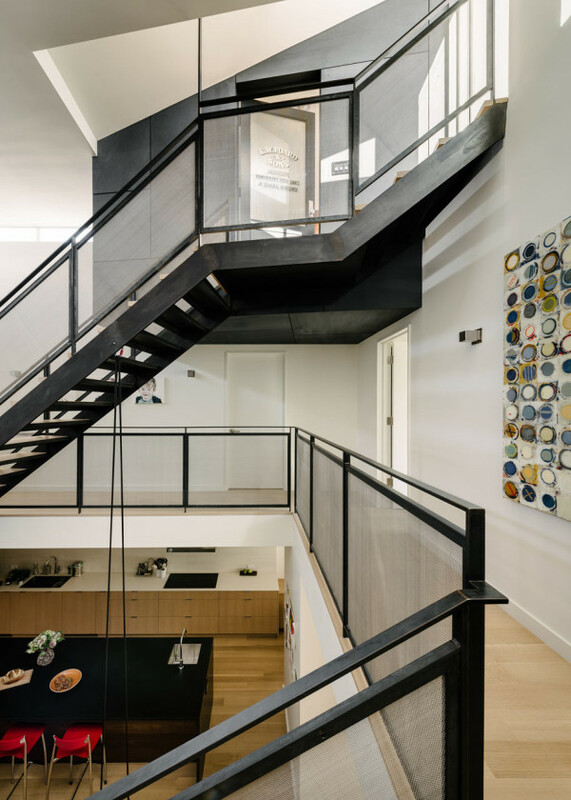 This area is also home to a three-story atrium that’s ringed off with a winding steel stairway. A floating office “pod” at the top of the stairs offers a quiet place away from the noise. 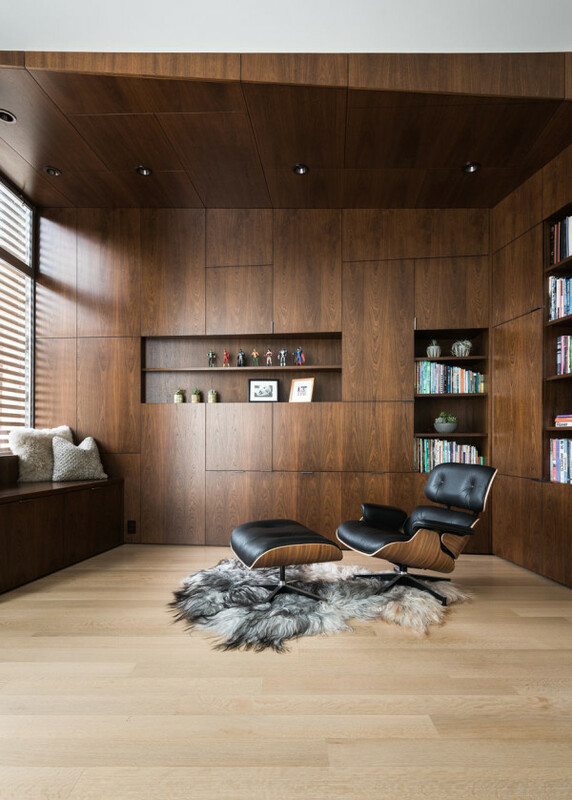 The light-filled living room opens up to the outdoor space with floor-to-ceiling sliding doors that disappear. 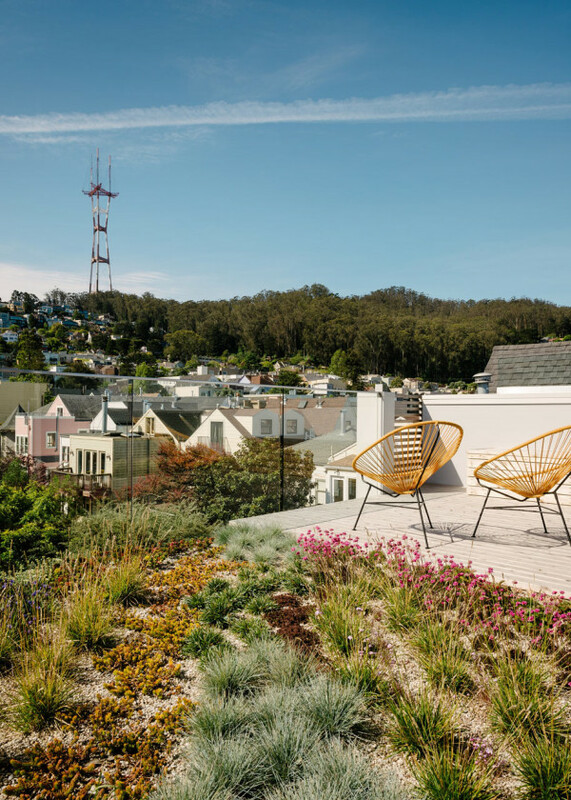 There’s even a green roof that offers views of Twin Peaks and Mount Sutro.